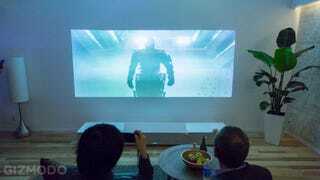 Additionally, Sony announced that it'll be making a portable version that'll project a 27-inch image. It'll be curious to see if an image that small really benefits from 4K resolution. But keep saving your greenbacks because the thing will run you $50,000.